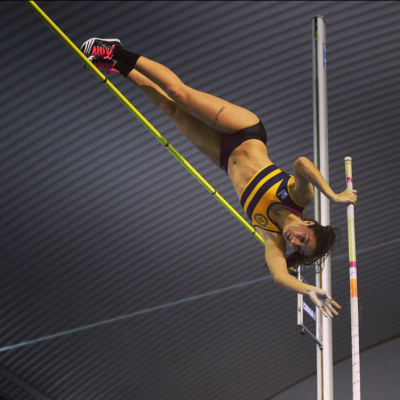 Pole Vaulter, Jade Ive is one of Britain’s most promising field athletes. After making history as the first British vaulter to jump over 4m, Jade went on to achieve a number of podium finishes in her junior career. At the 2008 Commonwealth Youth Games, Jade smashed the championship record to bring home the winners title for her country. As a senior, Jade has gone from strength to strength after placing second at the Outdoor British Championships and taking the title of British Indoor Champion in 2017. Jade trains at Everyone Active’s David Weir Leisure Centre up to five times a week, making use of the indoor and outdoor facilities. She hope to see her hard work pay off by achieving her dream of competing at the Tokyo 2020 Olympic Games.